As a Manufacturing Degree Apprentice at BAE Systems you will work within either our Mechanical Engineering or Manufacturing Engineering teams, playing a pivotal role in the planning and smooth delivery of the UK’s national sub-sea deterrent. If you are selected for the Manufacturing Engineering route, this is based on core industrial engineering and mechanical engineering skills – integrating various facilities and systems in order to produce quality products. The role operates between Engineering and Operations and interprets the Engineering outputs, such as drawings, tooling and documentation in order that Operations can undertake the build of the submarines efficiently and effectively. If you are selected for the Mechanical Engineering route, this is the area that turns ideas into products. Mechanical engineers are involved in the design, development and testing of complex mechanical systems. In the early stages of a project, they apply scientific principles and technical information to generate concept ideas. After this, they select the most suitable design and turn it into a viable solution. Through 3D modelling and a range of analysis tools, they create a detailed design that factors in considerations such as materials, manufacture, assembly, cost and performance. We offer competitive salaries and a range of employee benefits including, free higher education as well as access to the Company pension and share saving scheme. Five GCSEs grade A*-C/ 4-9 (or equivalent) including Maths, English and Science/technical subject AND 240/96 UCAS points or equivalent (excluding UCAS points gained at AS level) to include Maths plus one other STEM subject (excluding General Studies). As a British multinational defence, security, and aerospace company, BAE Systems are focused on finding innovative solutions enabling customers to have a competitive edge across the air, maritime, land and cyber domains. Do you want to kick-start your career with a famous brand? BAE Systems Apprenticeships offers a career like no other! The unique career journey at BAE Systems will enable you to earn and learn, gain sought after qualifications and in demand skills while you also gain vital on the job experience. BAE Systems offer a wide range of Apprenticeship opportunities from intermediate level to degree level meaning you can get a debt free qualification while earning and learning a role relevant to your career goals. 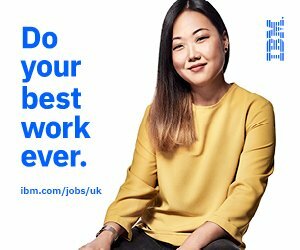 Kick-start your career today with BAE Systems!